Unique piece of jewellery of sterling silver. 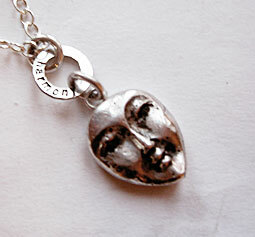 The face is sandcasted of sterling silver (1.5x2cm). Size of the whole charm part is appr. 4cm. 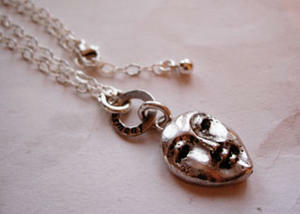 Because it´s sandcasted every face is different and special and all of them has a look of harmony. 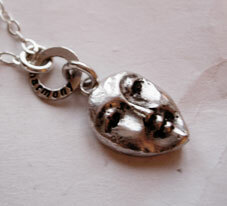 On the little flat ring above the head is the word "harmony" hammered. 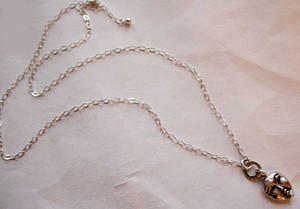 On this piece you´ll find a silverchain which is adjustable up to 60cm.